Anyone can throw a random assortment of food in a blender. 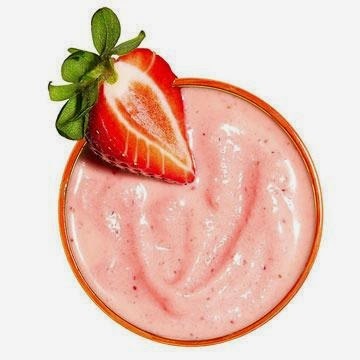 But if you want your smoothie both tasty and nutritious, follow these tips from celebrity assortment smoothie-makers Harley Pasternak and Candice Kumai. Sure, we all know how to make a smoothie: Fire up the Mixer and add some kitchen favorites, right? Wrong. In fact, lack of strategy can result in smoothies that are low in nutrients, high in sugar, and weird in texture. That's why we asked celebrity trainer Harley Pasternak, author of The Body Reset diet, and Candice Kumai, former host Lifetime's Cook Yourself Thin and author of Green Clean drinks, about the biggest dos and don'ts of smoothie chef-ing. Here's how to make a smoothie that is really worth slurping. 1. Include protein, fiber and healthy fat. "Every smoothie should have what I call the" holy trinity satiety 'protein, fiber and healthy fat, "Pasternak says . Try a protein powder or nonfat Greek yogurt for a powerful punch of protein, add in plenty of fruits and vegetables for fiber, and seeds, nuts, or avocado for a healthy dose of unsaturated fats. 2. Get a good mixer. "The most common mistake that people make is using a mixer with no power," Pasternak says . "The majority of household blenders can't get frozen fruits smooth, or chop through seeds, so you get a smoothie that is not very smooth. "Sound less than appetizing? Kumai recommends selecting a mixer that comes with a "tamper", a stick that you can use to push floating foods down into the mixer blades and is designed to break up air pockets and create a thicker blend. If you do, your smoothie will blend more easily, according to Pasternak. However, if you've followed the last tip and fired a quality mixer the order in which you add ingredients won't make a huge difference, Kumai says. 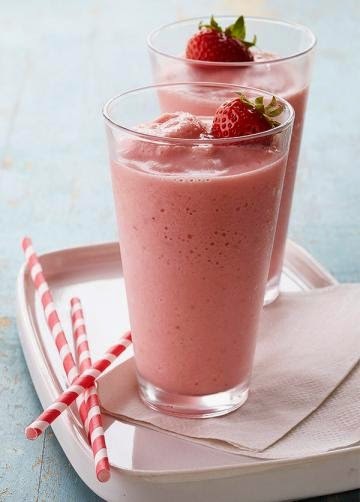 "I like frozen fruit for smoothies for a few reasons-it's more economical, because you can buy in bulk without worrying about it rotting; you can buy out-of-season ingredients; and it provides a delicious, refreshing ice texture to the smoothie, "Pasternak says. Bonus since frozen fruit is picked and sealed at its nutritional peak, it contains more vitamins and antioxidants than its "fresh", counterparts,according to research from the University of Chester in England. Pasternak prefers using hormone-free non-fat dairy milk in his smoothies.But if you are lactose intolerant, almonds and soymilk can also work very well. Kumai recommended opting for unsweetened blends. The fruits in your blender contain enough sugar-you don't need to pour into spoonfuls of sugar or honey, Kumai says. If your smoothie isn't sweet enough for your tastes, add some more fiber-packed fruit.